Shannon Lohr, the founder of Factory 45, knows a little something about funding fashion lines. Shannon and Factory 45 work hard every day to help new and established designers launch and market their line. She has been kind enough to share what it takes to launch a successful crowdfunding campaign to fund your clothing line. So you have decided to follow your dream of launching your first clothing line, but you are low on funds. Starting a new business is costly and requires startup funds, but that doesn’t mean you need to give up simply because you don’t have the money. More and more entrepreneurs are turning to crowdfunding to start their business, and with good reason. 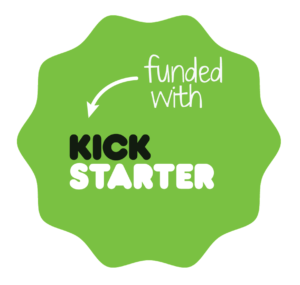 Crowdfunding sites like Kickstarter allow customers to back your business while pre-ordering your products. Essentially, your customers will be paying for the production of your line. But creating and running a successful Kickstarter campaign doesn’t mean just waking up one morning and posting a quick write up of your goals. It takes time, preparation, and careful preplanning. Before you even sign up for a campaign or start reaching out to potential backers, there are a lot of bases you need to cover. A successful campaign doesn’t just get people excited. A successful campaign is more than just flash and gimmicks. Potential backers need to see that you know what you are doing and that the product is thoroughly thought out and ready to succeed. Not surprisingly, the planning for launching your campaign is in line with launching your first fashion line. Just on a smaller scale because you are trying to raise money. Indie Source talks a lot about sourcing fabrics because it is a crucial step in the process. A successful crowdsourcing campaign requires a realistic budget and final goal. 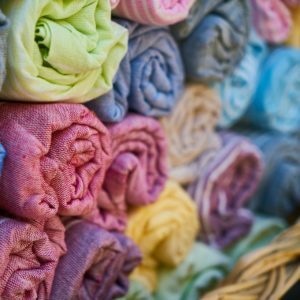 Find a fabric that not only works with your brand but will give you the most bang for your buck. Fashion drawings are beautiful, but backers need to see a finished product. Find a sample maker or work with a development house like Indie Source who will listen to you and help your vision come to life. These samples are going to be what you use to sell backers on your product. A lot of people think this step can wait until you are funded. However, it should actually be done before you launch your campaign. Your campaign needs to show that you are prepared to follow through with your proposal. After all a crowdsourcing campaign is technically an investment proposal. Locking down a manufacturer gives you a better idea of manufacturing costs and turnaround time. We know, we keep throwing the word budget around, but there is no way that you will get the backing you need without it. Your budget needs to include the cost of materials, manufacturing costs, packaging costs, and more. For more information, we have a great (and free) budget and pricing mini-course on the blog. Once you know your budget, you can start thinking about your actual crowdsourcing goal. You need to make enough to get started, but you also need to be able to cover your gifts or rewards and still come out ahead. You may be tempted to set a lower goal in the hopes of guaranteeing funding. DON’T. Be realistic. Set the goal at a number that will allow you to not only start work on your line but cover any emergency issues that may come up. You don’t want production to stall because of a lack of funds. A well thought out campaign is nothing without a client base. In part 2, we will look at choosing your target market and communicating with them before you launch your campaign.